The Friday evening athlete camp brings Ralf’s thought to tactical and technical training for athletes and has something for everyone. The Saturday and half Sunday coach development clinic will help coaches, regardless of level, understand the foundations and progressions of purposed, practical technical and tactical training. Coaches should bring an athlete (or one can be provided) to work with, and complete coaching gear. Disclaimer: this course is for personal growth and knowledge, is not an NCCP CAC Approved Course and does not lead to NCCP certification. 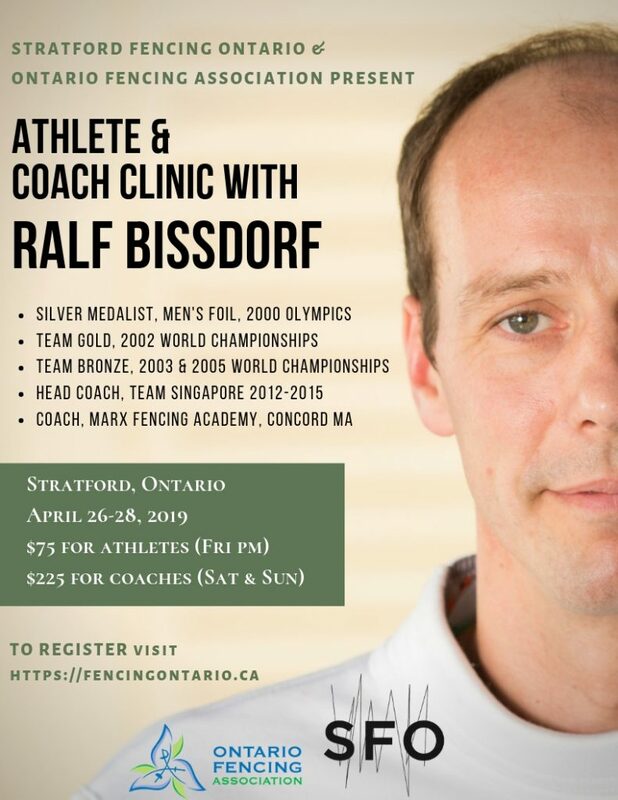 For more information, please contact headcoach@stratfordfencingclub.ca.